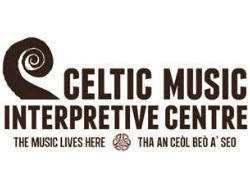 The Celtic Music Interpretive Centre is a not-for-profit society and a one-of-a-kind facility located in the tiny village of Judique, Cape Breton Island. Their mandate is to collect, preserve and promote the traditional Celtic music of Cape Breton Island through Education, Research and Performance. They offer year-round Ceilidhs featuring authentic live traditional music, special concerts featuring international artists, Gift shop showcasing locally made products and one of the largest collections of Celtic CDs, Ceilidh Pub Restaurant and Bar, an interactive Exhibit Room, Celtic Culture Demonstrations, Musical Walking Tours along the Trans Canada Trail, Beginner Gaelic lessons, music Workshops, The Buddy MacMaster Fiddle Camp, an Archives & Resource library, a Recording Studio, Online Store and more!